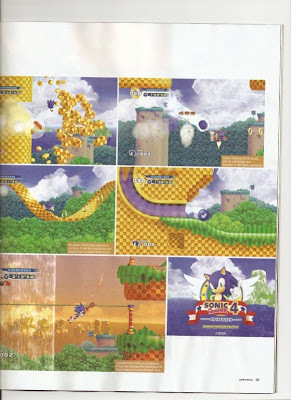 - Classic Sonic Gameplay, classic Sonic speed, no floaty gameplay, Says Izuka. - Not 3-D, but all CG pre-render. - Gamers will get classic “try again” ending if not successful when attempting to collect all the chaos emeralds. If you get all emeralds, you'll get the cliffhanger ending for episode 2. Any of you here fans of the classic Sonic gameplay? If so, it would seem that you are not alone since Sega has seen the need to return to his roots since 3D has not been Sonic's best friend over the last 10 years. I think the majority of Sonic fans are glad to see the series go back to its roots after suffering through the recent 3D games.